It’s been 30 years since the Los Angeles Teachers Union went on strike. 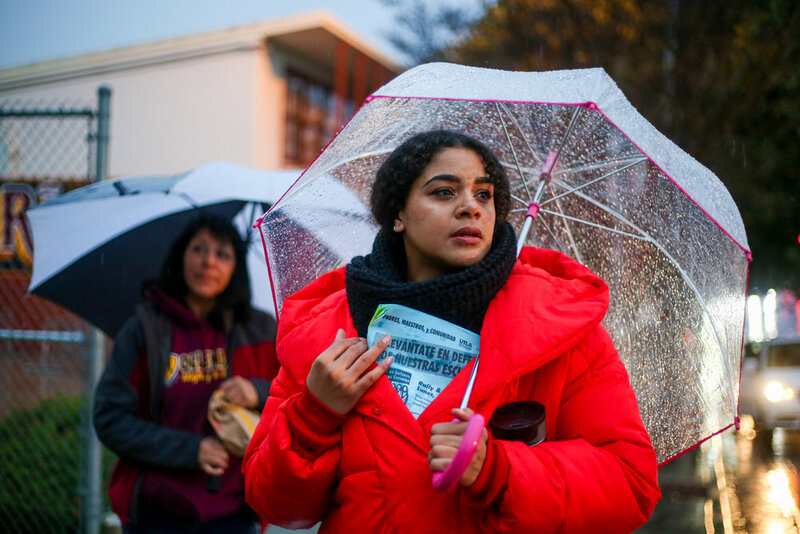 However their demands were not met at the negotiating table- so they’re picketing the streets for smaller class sizes and more counselors, nurses and pay as of 7am this Monday morning. 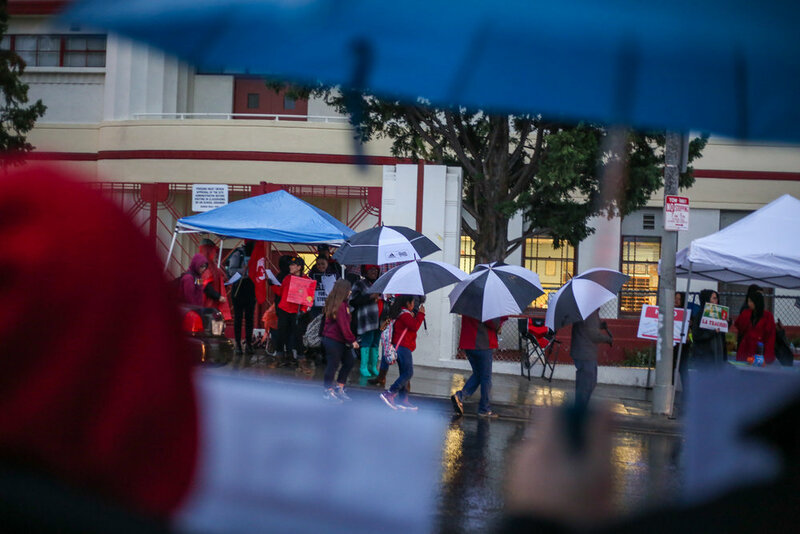 At Hollenbeck Middle School in Boyle Heights, the teachers stood in the pouring rain with ponchos and flyers while chanting their demands. "I'm a teacher and I brought my son with me to strike." said Ed Weber with his son Jasper Weber age 8. 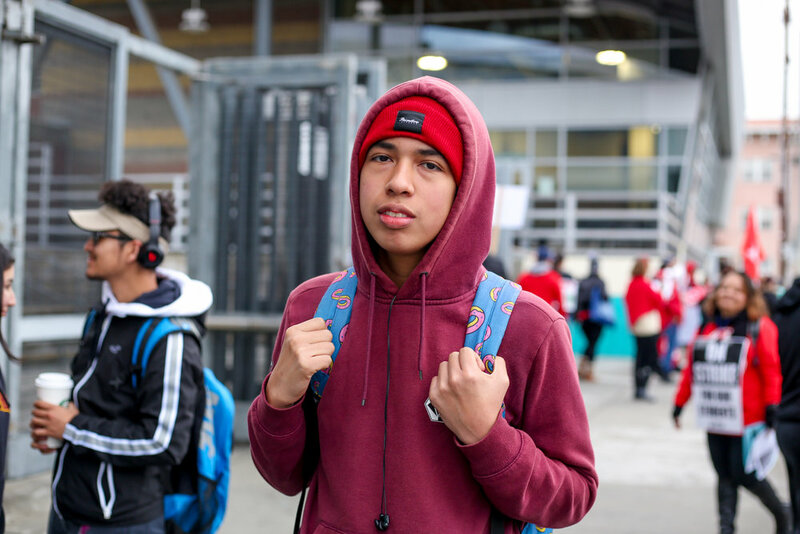 "If we don't stand up now the quality of our education will continue to be eroded." says Weber who has been a teacher in Los Angeles for 23 years.